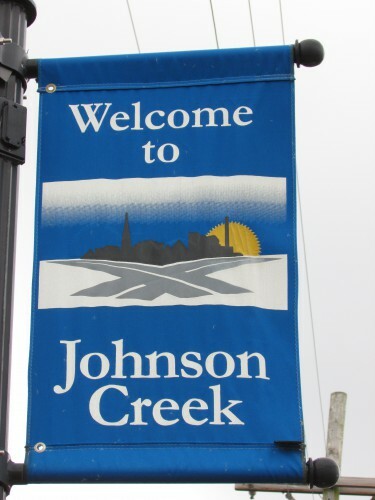 The Village of Johnson Creek was founded in June 1903. The first two settlers were Charles Goodhue and Timothy Johnson. Johnson also founded nearby Watertown a little to the north. 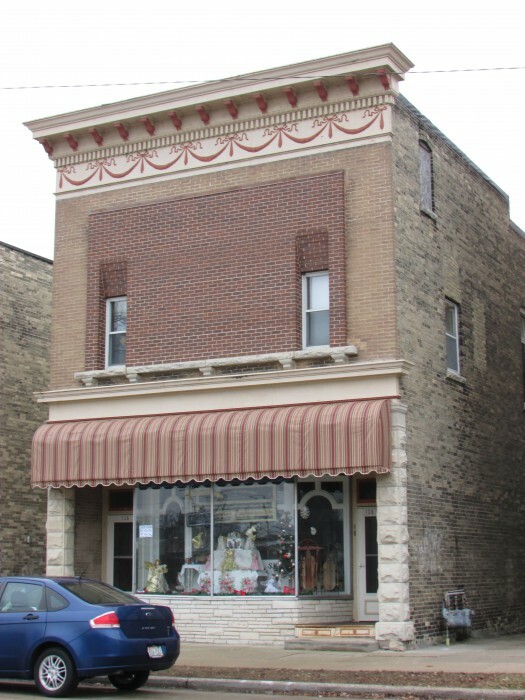 The Chamber of Commerce is located on 417 Union St in the old downtown. 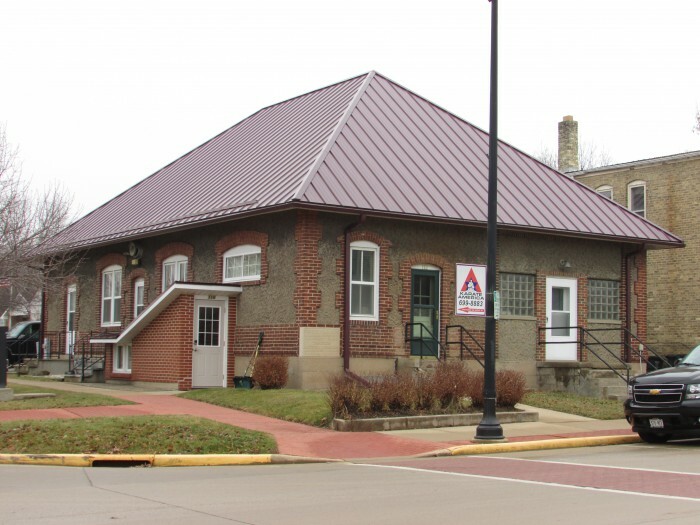 To learn about the village’s past, the Johnson Creek Historical Society can provide information and publications. 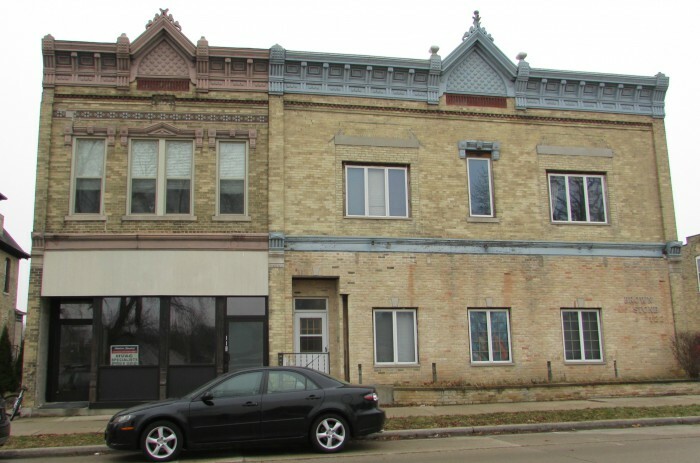 They are located on 110 Aztalan St. 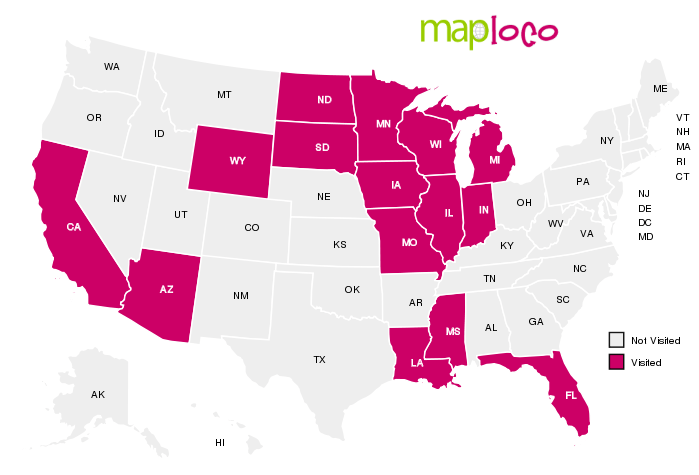 There are currently 2,738 residents living here. 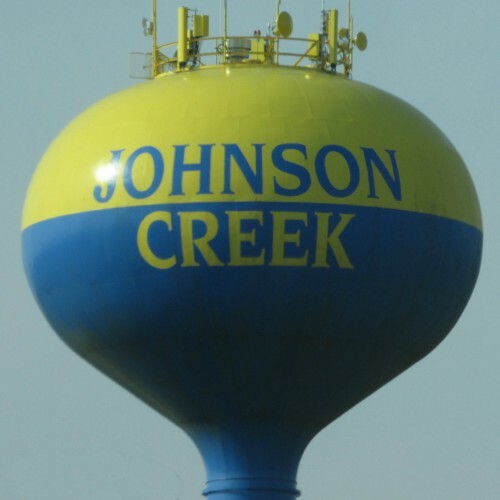 Most people in the Madison area know Johnson Creek by their large shopping center, The Johnson Creek Premium Outlets, built in 1998. It’s right off the exit on I-94, you can’t miss it! The stores are individual storefronts, not a mall so you just park where you want to shop. A great place to go for bargains! 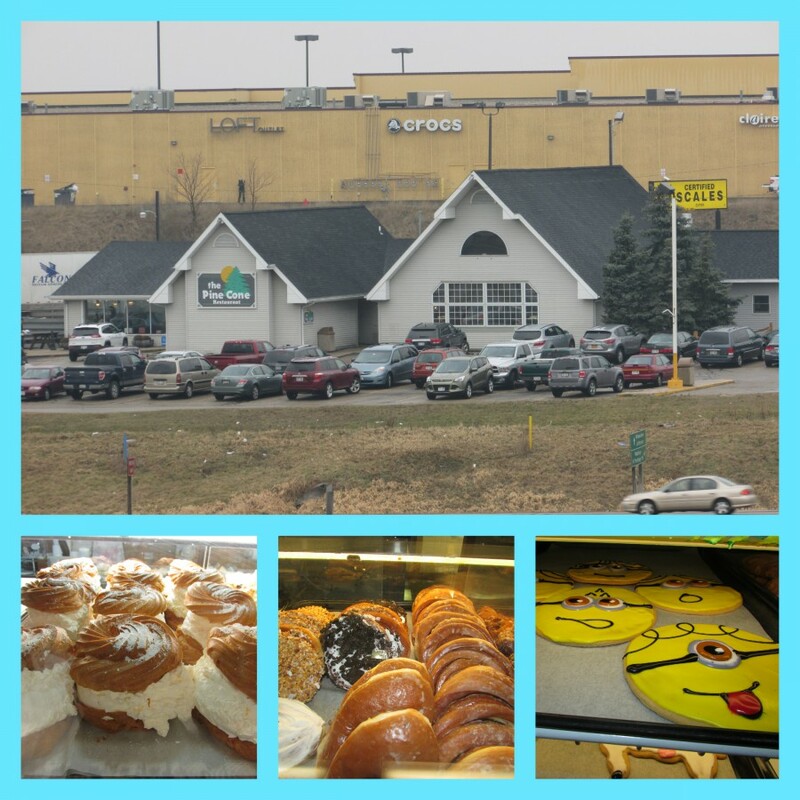 Down below the mall is the Pine Cone Travel Plaza – Restaurant and Bakery. We ate lunch at this location for the first time. The other Pine Cone is in DeForest close to home. You can’t believe how big their bakery items are. The cream puffs are as big as plates! Also popular theme cookies, doughnuts and other pastries. Across Hwy. 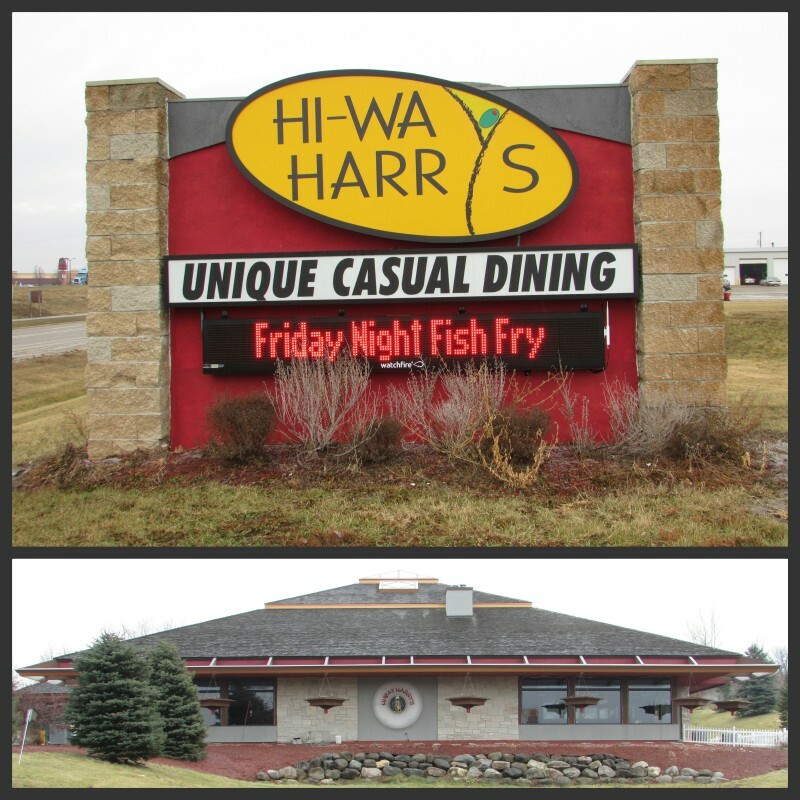 26 is Hi-Way Harry’s, a restaurant designed by Frank Lloyd Wright protégé James Dresser. After lunch at the Pine Cone we continued to head toward the south side of Johnson Creek, the historic part of town. 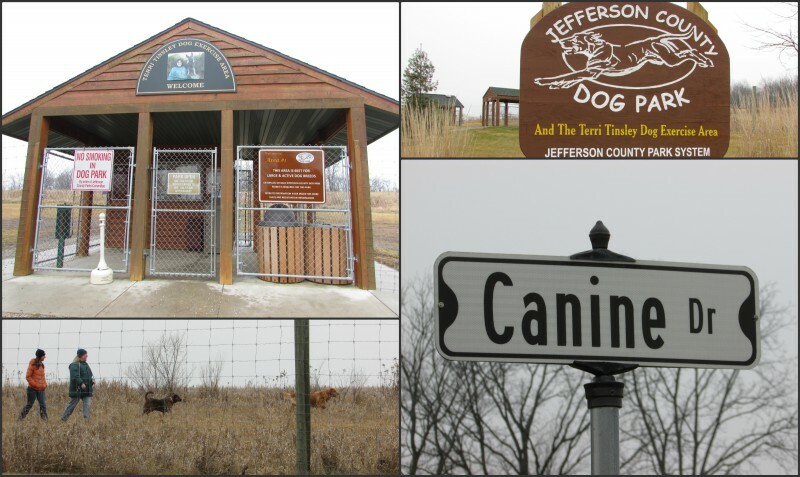 On the way, we find the Jefferson County Dog Park. 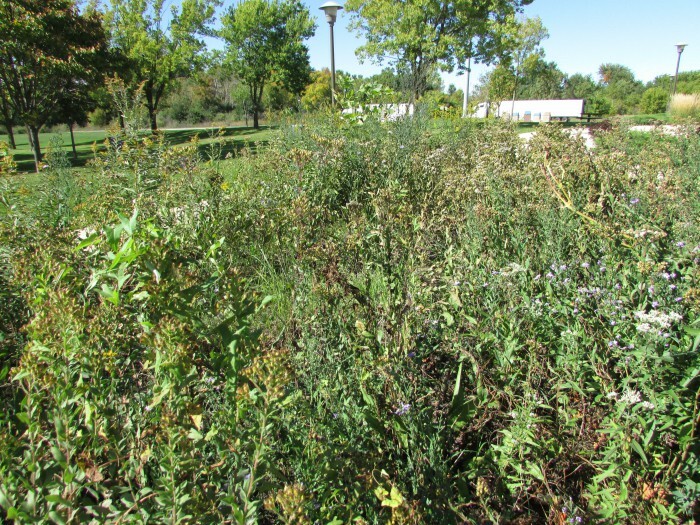 It’s huge, with separate enclosed run areas for different-sized dogs. 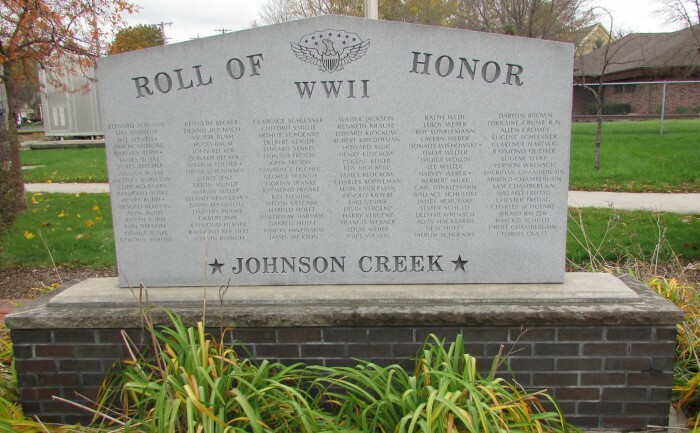 Johnson Creek also has a historical marker at Rest Area 14, I-94 Westbound. 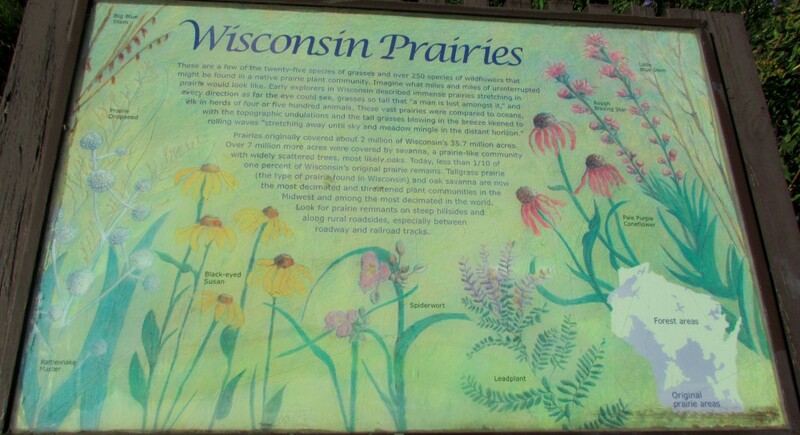 Also a tribute to the prairies that used to cover Wisconsin long ago. 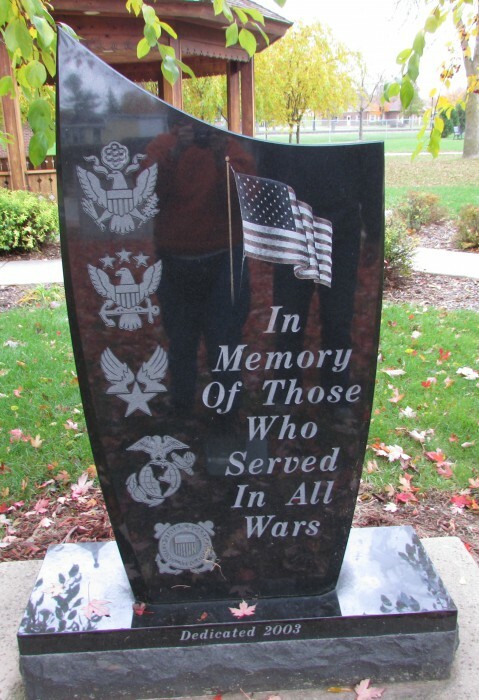 There is also a tribute to the military at Veteran’s Park downtown. 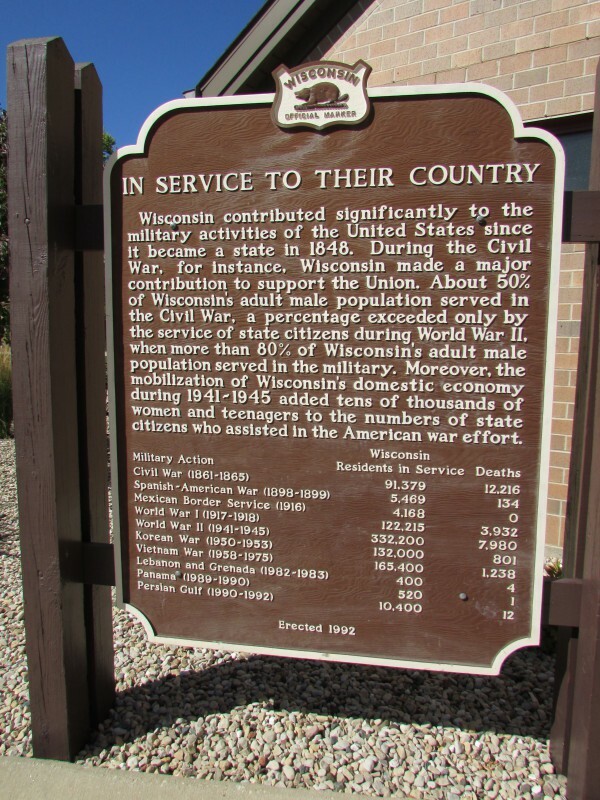 Also a monument dedicated to WWII Vets. Also at the park is a monument dedicated to early businesses that provided a foundation to the fledgling village in its early history. 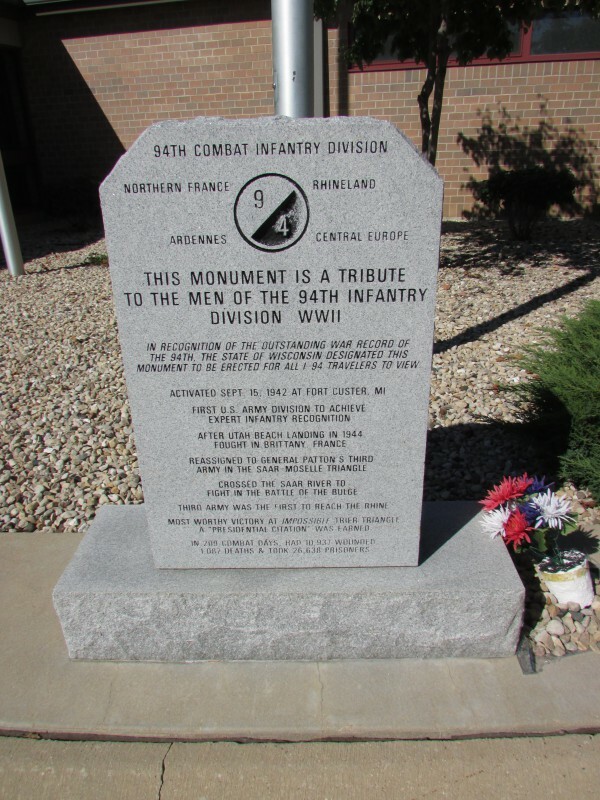 The historical society was the main sponsor of the monument. It also has a time capsule, to be opened in 2054. 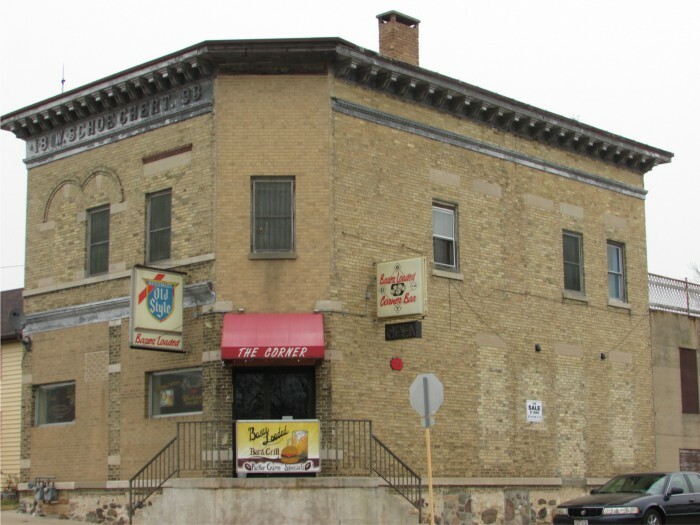 Another historic building is the former Gobbler Restaurant and hotel, long closed. Laurie ate there once but she don’t remember it. Good news though, the building has been bought and is going to become a music venue in 2016. 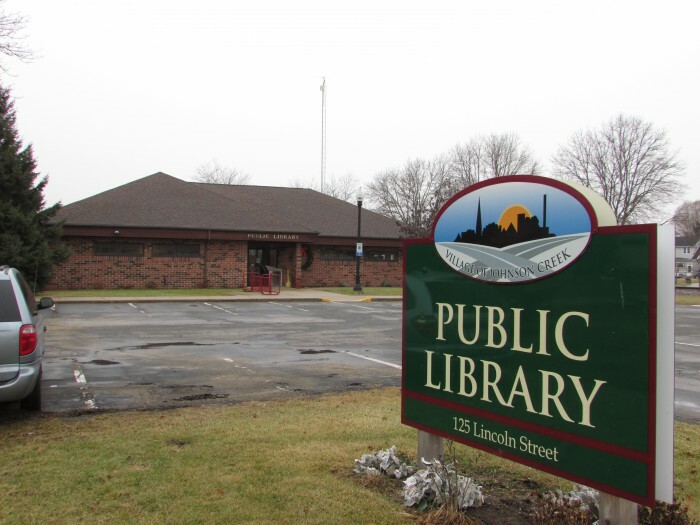 We are so glad this landmark building is coming back to life again after being vacant 20 years. Enjoy the former Gobbler restaurant commercial. We returned on 9-12-16 to see the new Gobbler, now called The Gobbler Theater. Art in one of the windows, paying homage to the Gobbler Turkey. 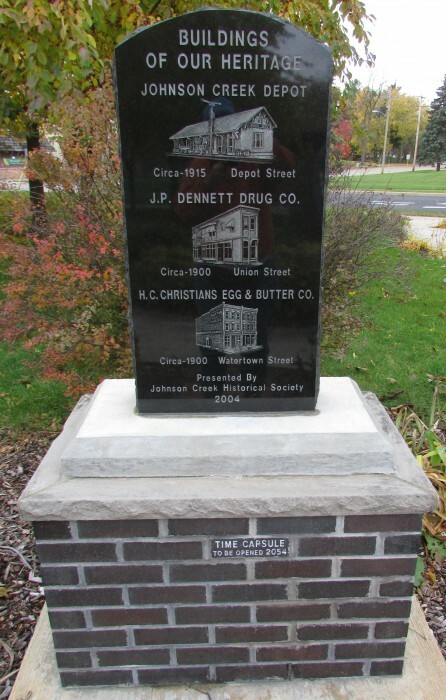 Just south of here is the original downtown of Johnson Creek, when the railroad was center stage instead of Hwy. 94. The track is still in use but the train does not stop here any longer and is freight only. 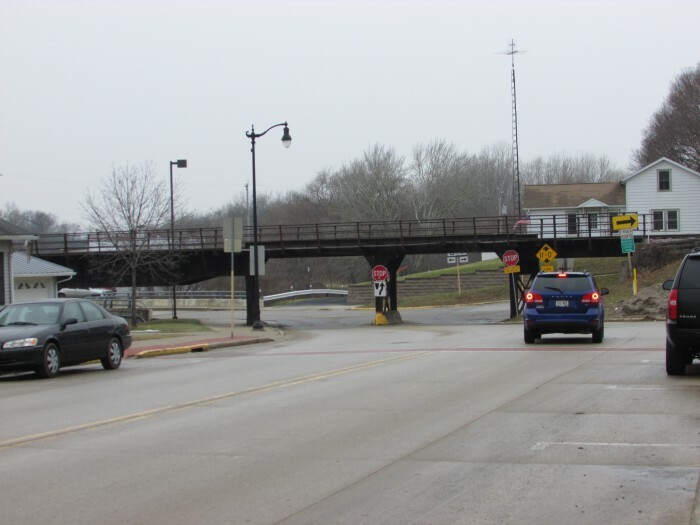 This is the railroad bridge in the heart of downtown. 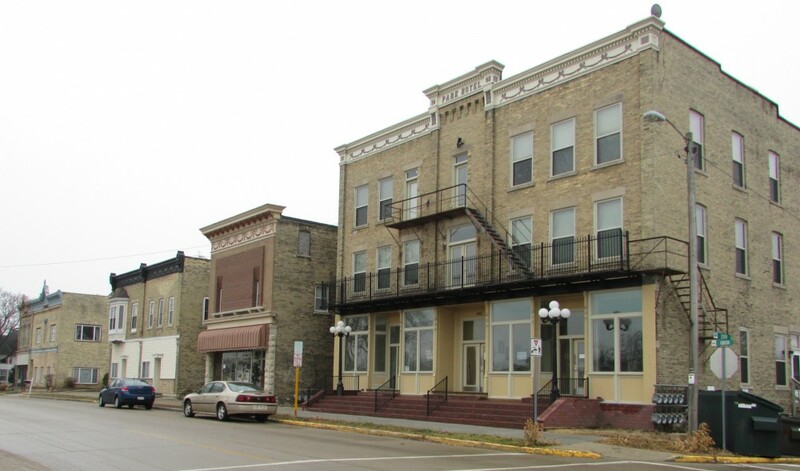 Many of the historic original buildings are still here to see and occupied. 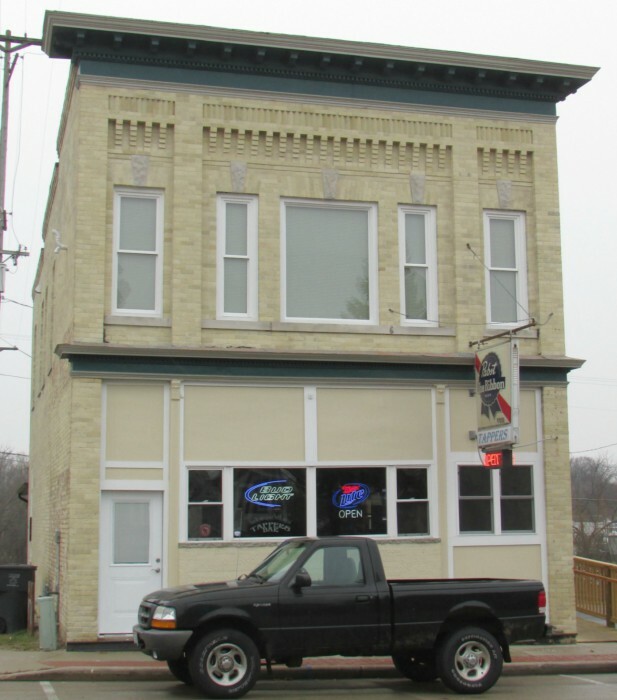 This is the Bases Loaded Corner Bar, an 1893 building. In the Community Center is Karate America, a great organization to teach karate and self confidence to both adults and kids. Across the street from here is a row of historic buildings on Union St., looking north. The right-side is the Park Hotel building, built in 1895. To the left of the park hotel building is Vintage American Collectibles. It used to be a bank building. A close-up of the building on the far left. 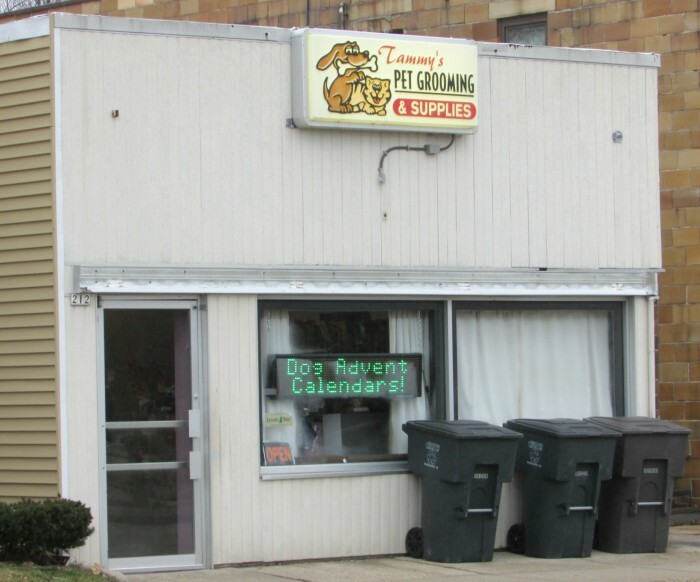 At the end of the row across from Veterans Park is Tammy’s Pet Gooming and Supplies, in business since 1980. Johnson Creek does have it’s own library as well. 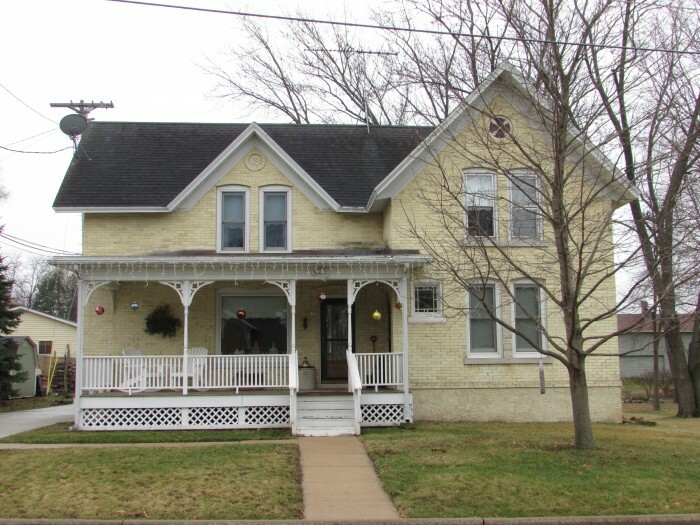 Next to the library is a historic home made of the cream-colored brick characteristic of this area, built in 1893. The rain begins as we finish our tour of Johnson Creek. We enjoyed exploring both the old and the new of this crossroads community with a great future ahead! 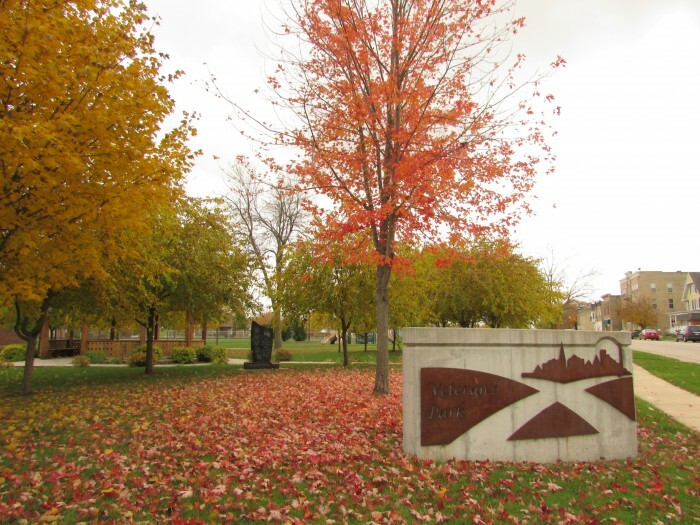 ← Belleville – Small Community, Big Heart!